ESPN's Jemele Hill has been suspended for two weeks after she tweeted about the ongoing national anthem protests in the NFL. ESPN anchor Jemele Hill has been suspended for two weeks following another controversial tweet. After Cowboys owner Jerry Jones said he would bench any player who disrespects the U.S. flag, Hill tweeted that upset fans should "stop watching and buying their merchandise." Hill later said she wasn't calling for a boycott but asking fans not to blame players for the Cowboys' policy. 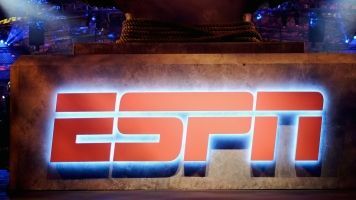 ESPN previously reprimanded Hill for a tweet calling President Trump a white supremacist — something that provoked an official White House rebuke. White House press secretary Sarah Huckabee Sanders told reporters, "I think that's one of the more outrageous comments that anyone could make, and certainly something that I think is a fireable offense by ESPN." ESPN said Hill had "previously acknowledged letting her colleagues and company down with an impulsive tweet."